Retired Major Ziauddin Ahmed, who was a sub-sector commander during the Liberation War, passed away at Singapore's Mount Elizabeth Hospital early yesterday. He was 67. Ziauddin, also a witness of Bangabandhu Sheikh Mujibur Rahman killing case, had been suffering from liver ailments and breathed his last around 4:30am ( Singapore time). He left behind wife, two sons, two daughters and a host of relatives and well-wishers to mourn his death. Family sources said his body will be brought home from Singapore this afternoon. 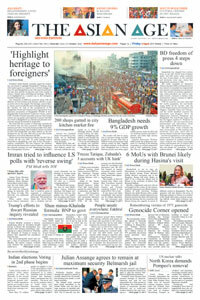 Prime Minister Sheikh Hasina expressed deep shock at the death of Ziauddin. Liberation War Affairs Minister AKM Mozammel Huq, and Environment and Forests Minister Anwar Hossain Manju also expressed deep shock at his death.